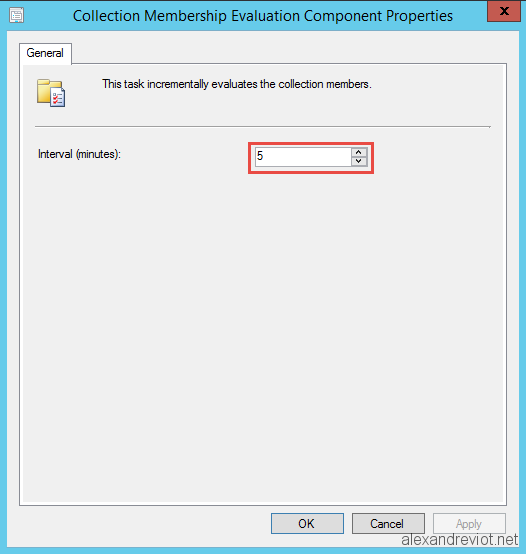 On the top, Configure Site Components and Collection Membership Evaluation. Change to the desired value. As Microsoft Best-Practices on Incremental Update , here, DO NOT enable this feature on more than 200 collections. Depends on your collections type, query, number of client in your site, this limit can be lower. Too many incremental update can really slow down all collection membership evaluation. You can get more information about Incremental Update and collections here. 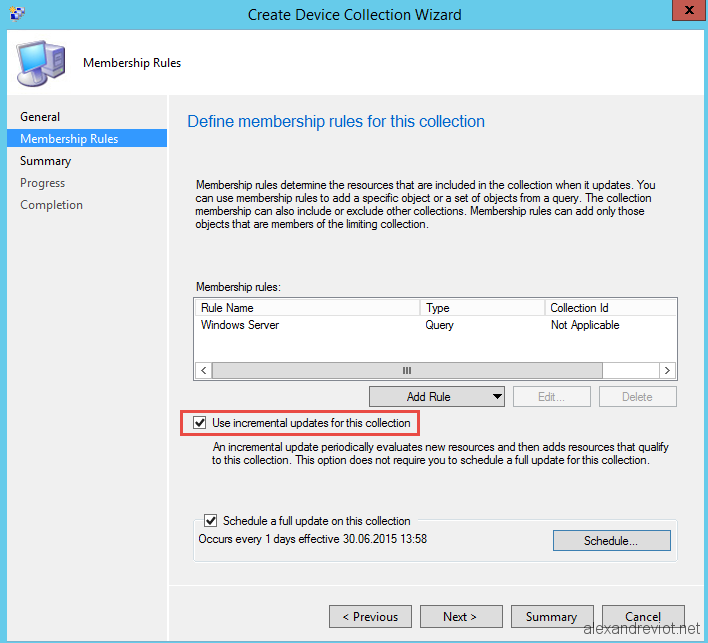 This entry was posted in ConfigMgr 2012, System Center and tagged 2012, collection, configmgr, evaluation, incremental, SCCM, update. Bookmark the permalink.